Wow, is what I breathed out when I finished the book. I felt slightly drained. Not only because the second half of the book slammed on the accelerator, but also because I was concerned—scared. 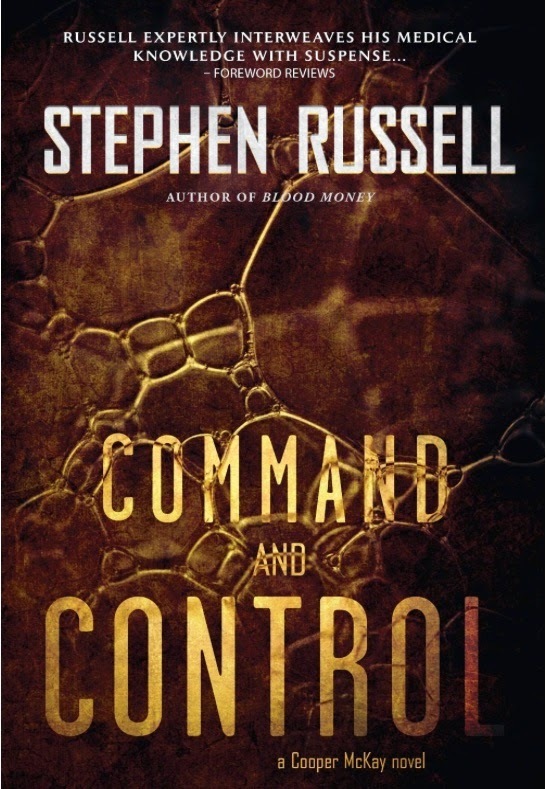 Command and Control is the second book by author Dr. Stephen Russell. The fact that the author is a medical doctor is important. I’ll explain soon. This is his second book in the Cooper McKay series. Doctor Cooper “Mackie” McKay’s plans for a peaceful retirement are once again derailed when a man with Ebola-like symptoms passes out on a flight from London. Mackie calls on his surgical skills – and a dose of creativity – to save the young man’s life. Instead of gratitude, however, he ignites the suspicions of the U.S. government. After masked military responders forcefully remove Mackie from the plane, he finds himself in the middle of an investigation by the Centers for Disease Control. As a deadly pathogen spreads through health centers across the U.S., Mackie learns that the most promising cure is embargoed by the FDA. He soon suspects domestic terrorism rooted in Big Pharma and sanctioned by public health officials. In the struggle for command and control of the outbreak, Mackie is caught in the cross-hairs of a governmental cover-up, where the only clear solution seems to be silencing the whistle blower. So… does this sound familiar? Could you see this splashed on your local news feed? From the book's first sentence, this medical thriller, takes you through a journey that is way too realistic. Suspension of disbelief? Sure, I can do that, but this was written by a medical doctor. So everything felt real, possible, and scary as hell. Russell take the reader on a journey of deception, a mysterious outbreak, and people in position of power with questionable motives. A great book will teach the reader something new. This book delivers that in bunches. The reader goes deep in the belly of the beast known as the CDC, military response units, pharmaceutical companies, and explores our encoded genetic need for survival. I got how scary -- how fragile -- the world we live in really is. The smallest thing can be the tipping point. When I started reading the book, I could not set it down. I did, however, mostly because at times I wondered if I showed any signs of a potential bacterial/viral/whateverial infection. Every itch was potentially a sign. Every caught could be the start—the end. This is how good a job the author did to scare this middle-aged man. The writing is smooth and powerful. The world we jump into is vivid, clear — almost felt like I can go to those locations and find my way around. And the story is superb — unfortunately, too realistic. I dare say, mainstream blockbuster, Dan Brown, could pick up a tool or two from Russell. The book comes out Nov 14th which also happens to be World Diabetes Day. 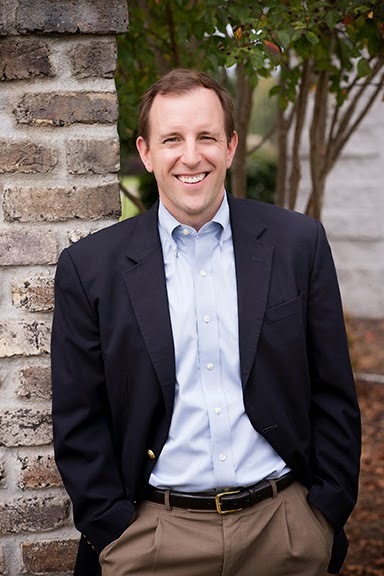 This author, along with others, will donate all proceeds of book sales toward juvenile diabetes as part of the BUY THE BOOK, FUND THE CURE event. Dr. Stephen Russell’s daughter has juvenile diabetes. He has stepped up to be part of the solution. So if you want to help fund the cure, your purchase will go a long way. 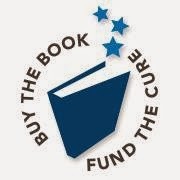 More information can be found on the Facebook site https://www.facebook.com/Buythebookfundthecure. So, if you’re looking for a great thrill ride, help fund an amazing cause, and are willing to get uncomfortable a bit, then this book is for you. A fantastic novel. Highly recommend it. Personally for me, book reviews are very useful because thanks to this information I can choose exactly what I like.